Due to the popular demand for our two-day Camp Mushroom (which is sold out for April session), we are offering an additional, one-day class which will cover the same cultivation methods as the original. A new course, Identifying Healing Plants Used in Maya Culture in Southern Belize, is one of 25 faculty projects awarded grants designed to internationalize undergraduate teaching, learning and research at Cornell. Internationalizing the Cornell Curriculum (ICC) awards are administered by the Mario Einaudi Center for International Studies and by Cornell Abroad. They are intended to expose undergraduate students to different cultures, languages and meaningful international experiences. The healing plants course will take groups of students and faculty to the Toledo District of Belize to study medicinal plants and preserve this centuries-old knowledge for future generations. 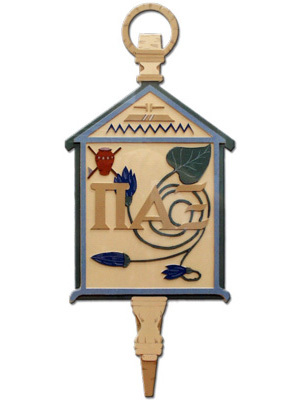 The course was proposed jointly by faculty members from the Colleges of Agriculture and Life Sciences and of Arts and Sciences, Marcia Eames-Sheavly, Stacey Langwick and Kevin Nixon. 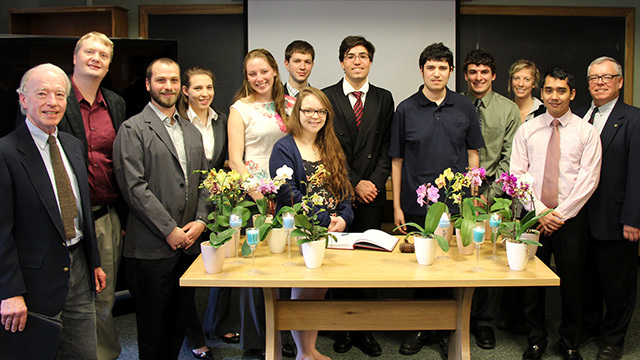 If you missed Monday’s Horticulture Section seminar, Flower Power: Teaching college students the art and science of the beauty and perfection of flowers , with Heiner Lieth, Department of Plant Science, University of California-Davis, it’s available online. 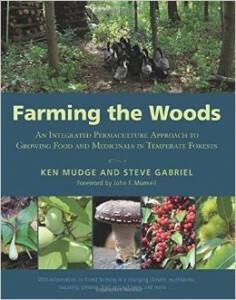 Steve Gabriel, extension agroforestry specialist for the Cornell Small Farms Program and co-author of Farming the Woods, will be giving a short presentation followed by discussion at the Durland Alternatives Library. This is part of a weekly event series called The Alternatives Cafe–connecting library materials to local interests. The cafe is a weekly opportunity for discussion, collaboration, and education. Coffee, tea, and light refreshments are available. 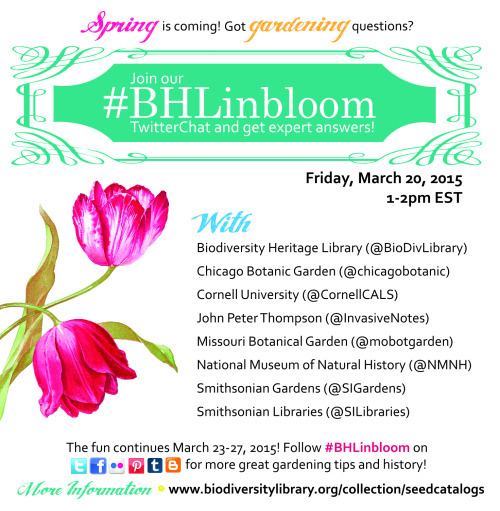 Last Friday, Horticulture Section Senior Extension Associate Lori Brewer joined a one-hour TwitterChat on gardening hosted by the Biodiversity Heritage Library. Brewer was part of a panel of experts from participating BHL member and affiliate institutions — including Smithsonian Gardens, Smithsonian Libraries, National Museum of Natural History, Missouri Botanical Garden, and Chicago Botanic Garden — who answered gardeners’ questions. “We fired off 22 tweets in the hour, out of about 150 the entire group sent out,” says John Carberry, managing editor and social media officer for CALS Communications. “Our tweets Friday reached more than 20,000 people, and they’re still being retweeted. “It was a bit crazy, but it definitely spread the word.,” he adds. Check out the BHL Storify of the TwitterChat to get a feel for what transpired. If you missed Monday’s Horticulture Section seminar, Genomics-assisted breeding of triploid hybrids of shrub willow for bioenergy, with Horticulture associate professor Larry Smart, it’s available online. 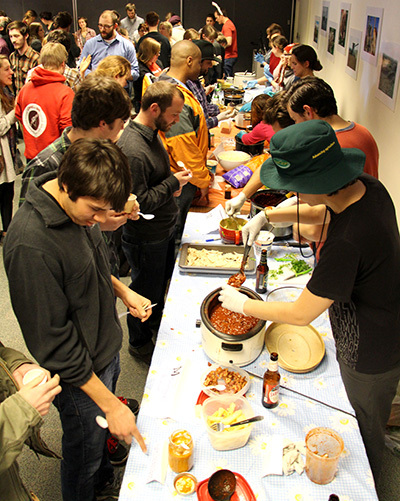 The annual School of Integrative Plant Science (SIPS) Chili Cook-Off was an event not to be missed. Students, faculty, and staff from all five Sections packed Emerson 135 Thursday to sample traditional and exotic versions ranging from hot to savory to sweet — many making use of unusual ingredients not found in most recipes. The creations demonstrated the kind of creativity, ingenuity and good taste you’d expect from SIPS folks. 18 teams competed for prizes in three categories. “It was a lot of fun and a big success,” says Adam Karl, Horticulture graduate student who has helped organize the event three years running. Camp Mushroom is Cornell University’s annual two-day event for farmers, woodlot owners, and hobby growers who want to cultivate their own shiitake, oyster, lions mane, and stropharia mushrooms. 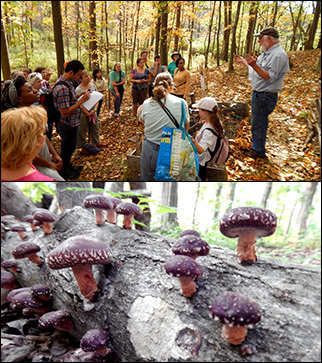 The class runs April 24 – 25, 2014 at Cornell’s Arnot Teaching and Research Forest located about 20 miles south of Ithaca, N.Y. Brewer to join national gardening TwitterChat Friday at 1 p.m. 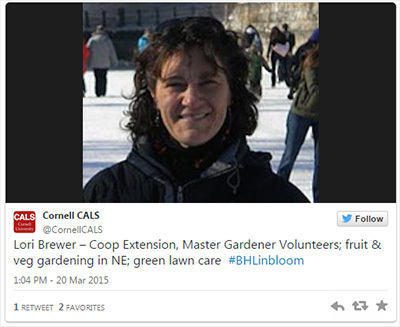 Forget basketball, gardening madness begins tomorrow at 1 p.m. EDT on our sister Twitter channel, @CornellCALS. For one big hour, Cornell will join event host Biodiversity Heritage Library for a full-court TwitterChat during which everyone is invited to submit gardening questions for top national experts to answer. Botanists and horticulturalists from BHL partner institutions – including Smithsonian Gardens, Smithsonian Libraries, National Museum of Natural History, Missouri Botanical Garden, Chicago Botanic Garden, and CALS’s own Horticulture Senior Research Extension Lori Brewer – will offer answers and provide gardening tips and resources. Join in or follow along: ‪#‎BHLinbloom‬. And get ready to get dirty.